You might have already seen the greatest thing to come out of this year's annual Star Wars Celebration conference: the trailer for Episode VII. (Wait, don't go, okay, we'll wait while you watch it again... You're back? Cool.) 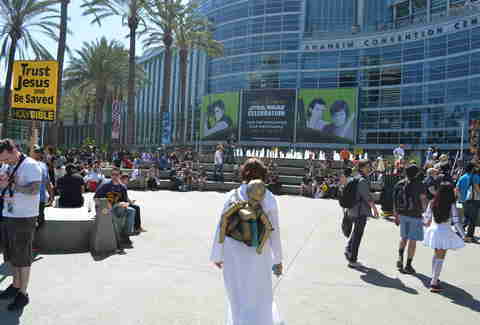 But there were a lot more Jedi-level mind tricks happening in Anaheim this weekend. Here're some IRL scenes that made the convention worth visiting. 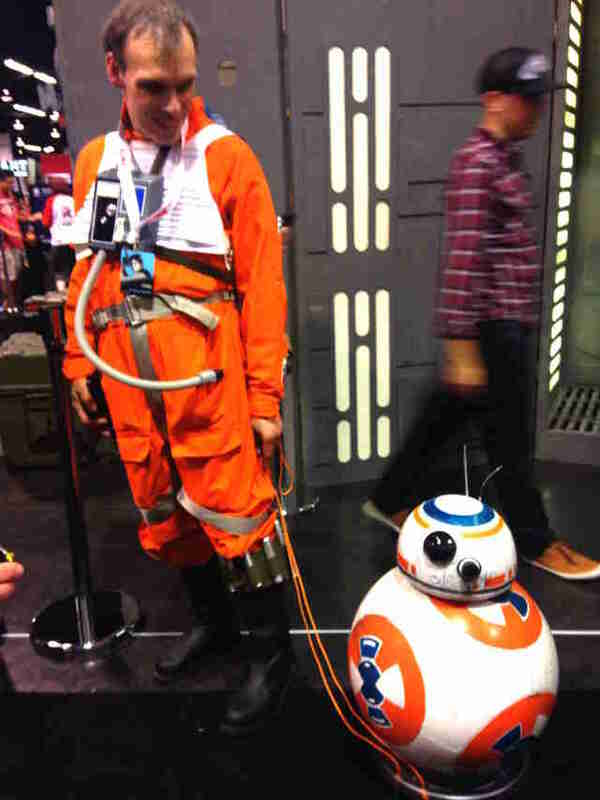 Homemade cosplay comes at a professional level for Star Wars fans -- like this X-wing Fighter’s BB-8 ball droid, which was most impressive. Geeks: this is the voice of Ahsoka Tano in The Clone Wars. Lady geeks: she has a clothing line called Her Universe with clothes (like this Hoth pin-up dress) for fangirls. Rep! 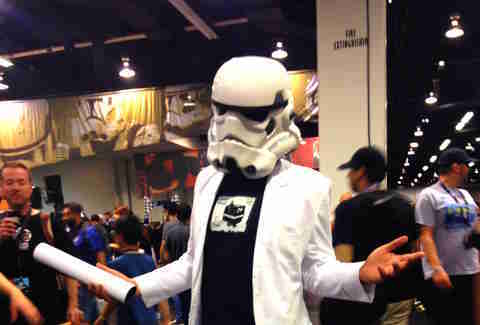 This dude's ready for Stormtrooper... prom? 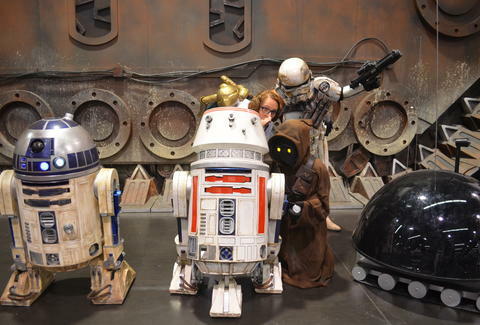 There's a Star Wars-specific tattoo parlor. 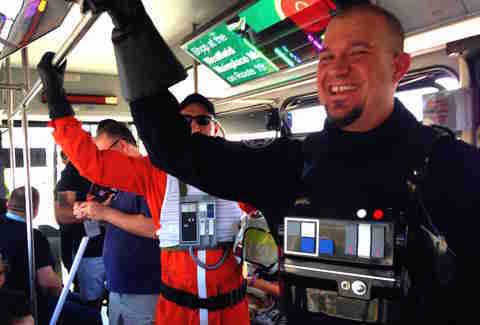 REPEAT: STAR WARS-SPECIFIC TATTOO PARLOR! 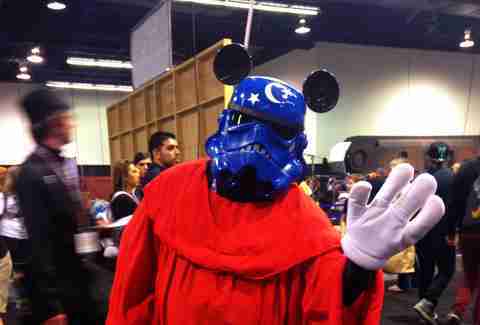 Disney's takeover of the franchise is clearly a boon for... people who make Darth Vader masks in blue? Village People Han Solo!!! 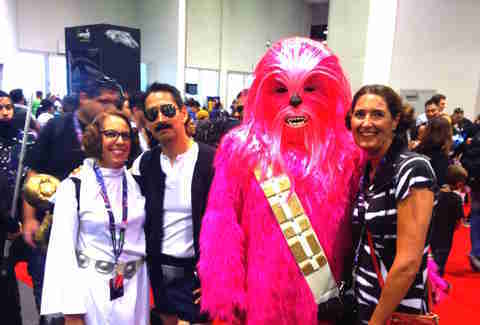 Pinkbacca!!! 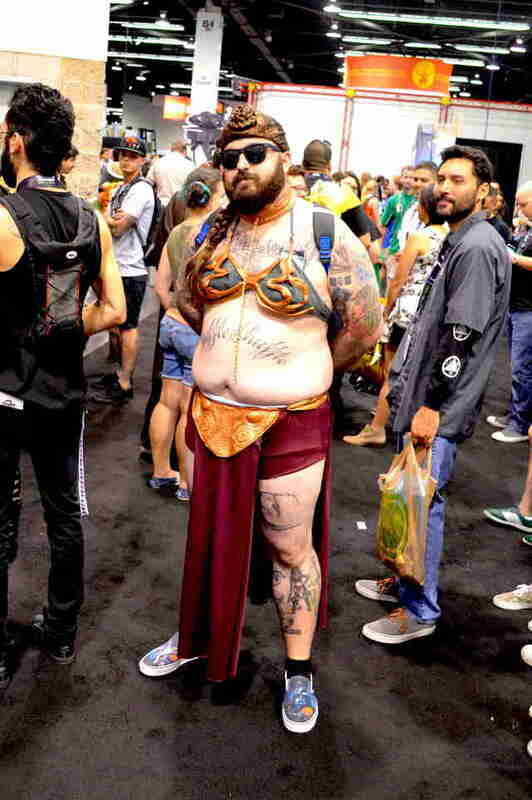 Two, uh, kinda-normalish Princess Leias!!!!! 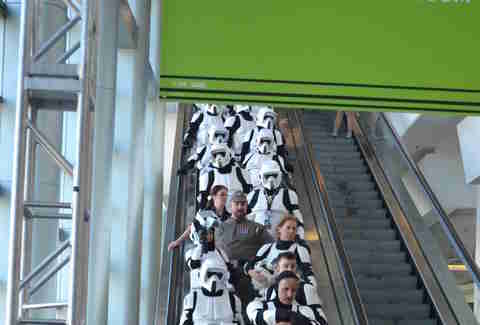 "I'll be back..." er, wrong franchise. "Back I will be." Laurel Woods is a freelance writer and special effects wiz. Follow her on Twitter @lewoodsy.